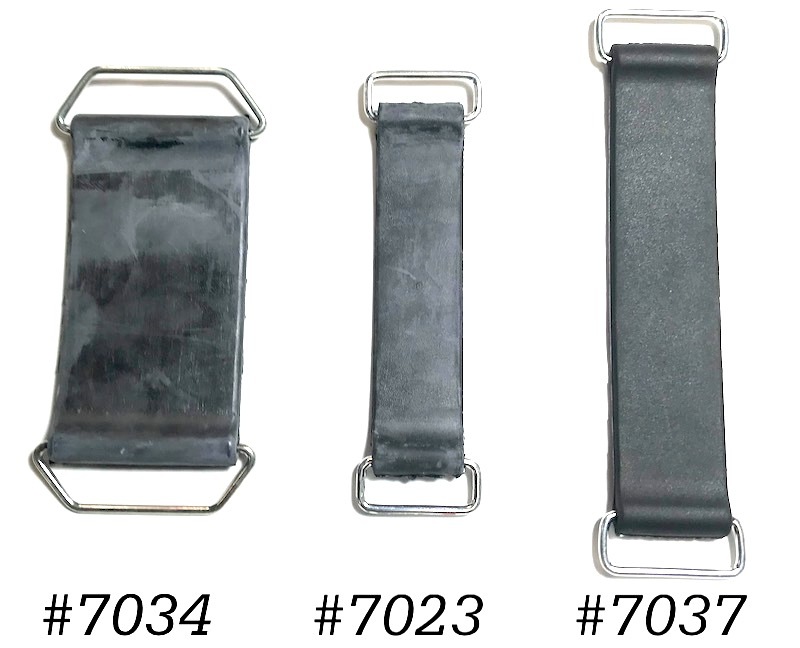 Why You Need This: The battery on your Honda CL or CB350 / CB360 / CB450 / CB550 is a commonly serviced item and more often than not the rubber battery strap is missing or broken. 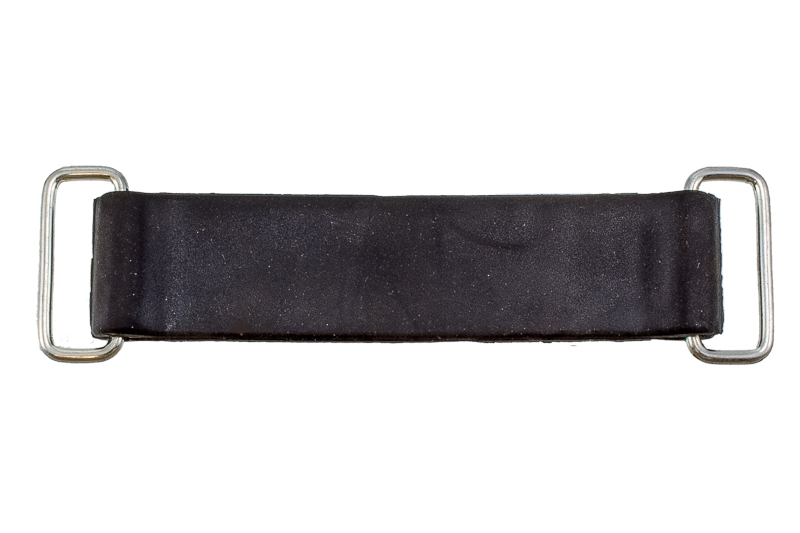 If that is the case with your barn find Honda CB350 / CB360 / CB450 / CB550 then grab this original style rubber battery strap and tie down your Honda's battery once and for all. If you're looking at this page because its time for a new battery, we carry some high quality Motobatt AGM batteries that work great in these old bikes. While you're freshening up the rubber bits, you might take a look at our tank mounts, foot pegs, and other rubber pieces - just make sure to select the right ones for your specific model! Installation Tip: Keep in mind this strap is meant to fit the original battery and battery box. It can be used for other custom boxes for other sized batteries. Note that the strap for the CB350 / CB450 is significantly wider than the other two. See photo for comparison.